The curved headhouse exemplifies the Tillotson style at Vail, Iowa. An overexposed image brought out the Tillotson name on the blue port cover. 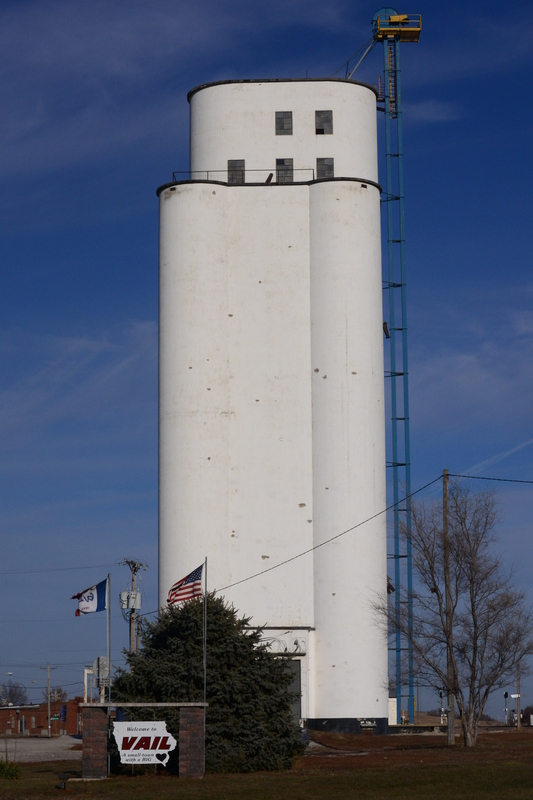 During our travels, we are always on the lookout for a Tillotson elevator, so coming across the Vail elevator in the eastern part of Iowa during a Thanksgiving visit was a pleasant surprise. The trademark curved headhouse came into sight at a distance, and with some excitement we pulled over near the elevator, hoping to find an embossed manhole cover to confirm the builder. Painted blue, about halfway up the side above a loading spout, was a steel cover with its stamped name, “Tillotson Construction Co., 1955, Omaha Nebr.,” faintly visible in the late afternoon shadow. We needn’t have looked. 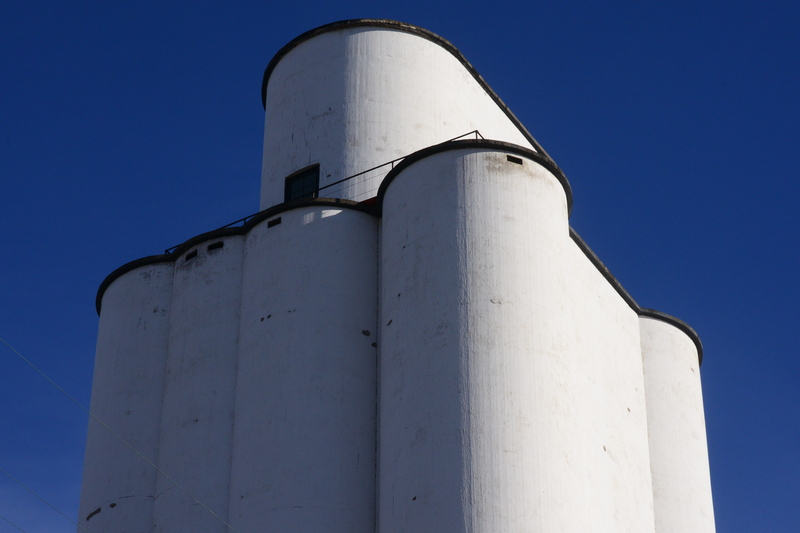 The Vail elevator is among the structures detailed in the Tillotson concrete elevator specifications, which span over fifteen years. In a brisk, chill wind, I took some quick photographs (interrupted briefly when a railroad employee warned me to keep a respectful distance from the tracks), and then I dashed back into the warmth of the truck. 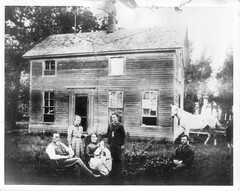 “Vail, Iowa,” was a familiar name. When I checked, I found it was listed in the rich store of information that Tim Tillotson provided. Below are the specifications for the elevator at Vail, Iowa, built in 1955. 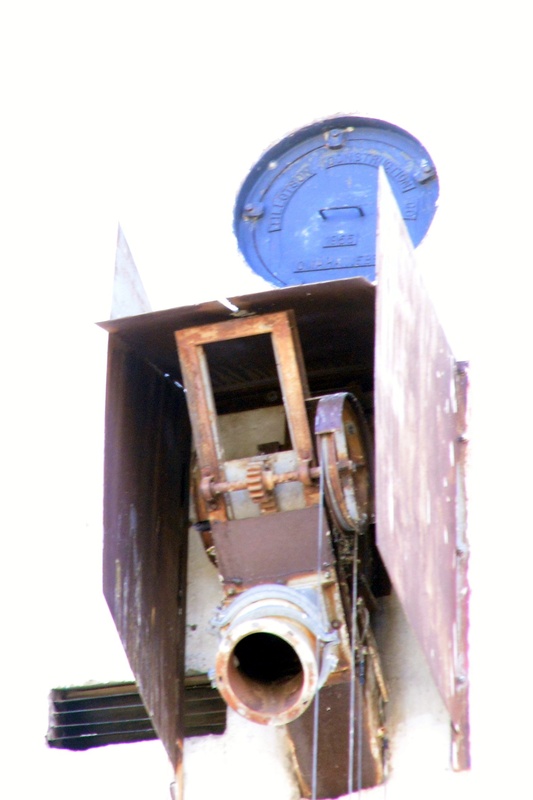 The elevator was built using the “Manson plan,” which specified 5 bins with a 16 ft diameter and 120 ft height, a 13 x 17 ft driveway, a dust bin and fan, a dryer bin, and 16 bins and overflow. Cupola spouting 10 inch diam. This entry was posted in Reginald Oscar Tillotson, Tillotson Construction Company and tagged construction, engineering, grain elevator, photography, reinforced concrete, slip-formed concrete, Tillotson Construction, Vail Iowa.